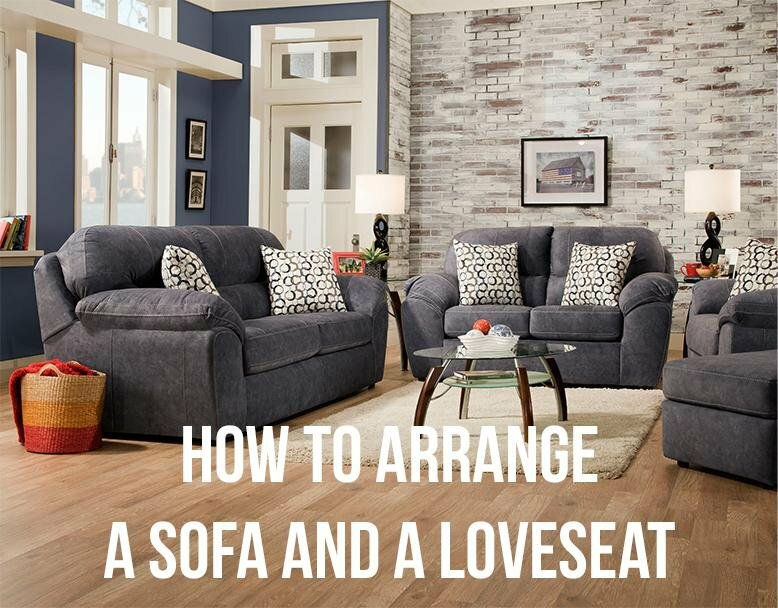 Knowing how to arrange your new sofa and loveseat can be tricky. You know that feeling when you walk into a room and you can immediately tell if something is...off? The way the furniture is sitting in the room just feels strange and unwelcoming? Don’t have that home! Obviously, things will change depending on the size and shape of your room, but there are lots of ways to arrange sofas and loveseats that will work in most any room. Check out some of our ideas below! If your room has a focal point like a fireplace, window, or interesting architectural feature, you can arrange your sofa and loveseat around that. Arranged in an “L” shape, you’ll be able to appreciate what makes your room interesting while still having a functional seating arrangement. Make sure your room feels balanced by including an end table or lamp at the end of the loveseat. With a larger room or a space that needs more seating, make a “U” shape by adding accent chairs. You’ll not only have more seating, but you’ll be able to add some more personality to your room. Nothing makes a statement like an accent chair! 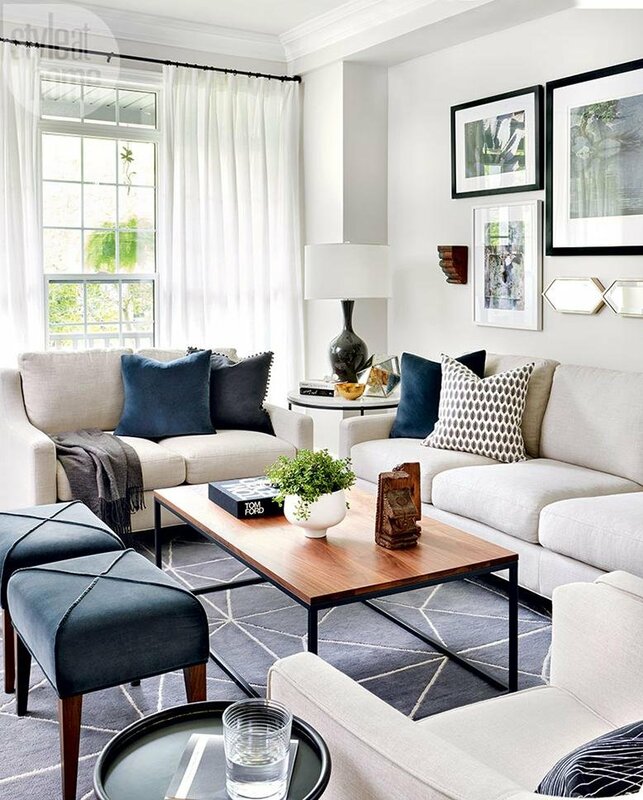 For even larger rooms, arrange your loveseat and sofa so they face each other. 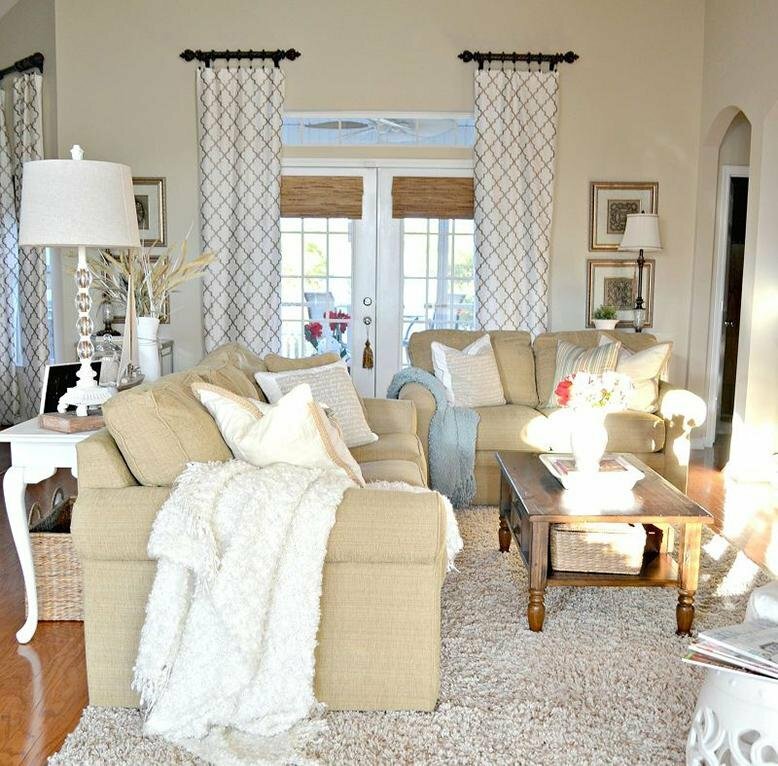 Add a couple of chairs on either end and situate all furniture around a coffee table or ottoman. You’ll have the perfect place for conversation with this layout. Don’t forget that with all your furniture arranging you should leave walkways large enough that no one will feel like they have to slide past - usually about 3 feet. Also, if you are wanting to incorporate an accent chair but don’t have a ton of space, armless chairs are smaller while still offering a different seating option. How have you arranged your sofa and loveseat?